Do You Know What You're Selling? By now we know that celebrities (and pseudo-celebrities) often lend their names to products that may or may not have devastating effects on consumers. Of course, hawking a product for a paycheck doesn’t automatically make the spokesperson in question an expert on the product or the consequences of using it. 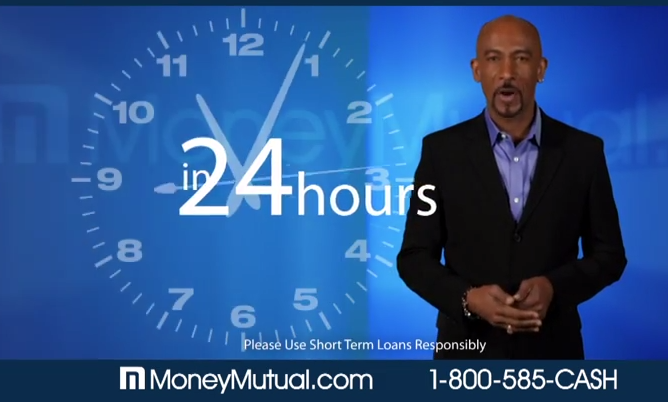 Time reports that the former talk show host and Money Mutual pitchman Montel Williams got into a bit of a spat on social media when questioned about his backing of the payday loan lead generator. @Andrelamme @BadassTeachersA nice soundbyte but fundamentally incorrect as to what I actually do. The back-and-forth continued as the man pointed out that Money Mutual – which has been under scrutiny by federal regulators in the past – provides leads to payday loan issuers with stated annual percentage rates in the triple-digits. While the predatory nature of payday loans can be debated from both sides – with advocates saying the short-term loans perpetuate a costly and devastating debt trap, and supporters saying the loans are necessary for consumer with few other credit options – the most troubling aspect of the exchange came when Williams debated the high interest rates tied to payday loans. @Montel_Williams @BadassTeachersA Ummm. Yeah. Basic economics. Do you not understand that? And I quoted from the lenders you promote. But according to federal regulators’ stance and research on payday loans, a 14-day loan carries significant fees and interest rates that often drive consumers deeper into debt. Although borrowers are expected to repay their loans after 14-days, the Consumer Financial Protection Bureau found that often isn’t the case. In fact, many payday loans are rolled over or renewed every 14 days – incurring additional fees. This practice has led to four out of five payday loans being made to consumers already caught in the debt trap. Additionally, the CFPB found that by renewing or rolling over loans the average monthly borrower is likely to stay in debt for 11 months or longer. With more than 80% of payday loans are rolled over or renewed within two weeks regardless of state restrictions, borrowers can end up paying more in interest than they borrowed to begin with. A rep for Williams tells Time that Williams was specifically referring to loans that are paid off in two weeks, not payday loans in general.